New Zealand – though she be but little, she is fierce! 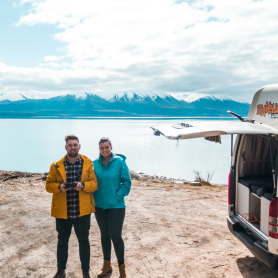 NZ is a nation of just four million, but while small in numbers and size, there is no shortage of stunning sights to see and action packed adventures to have. 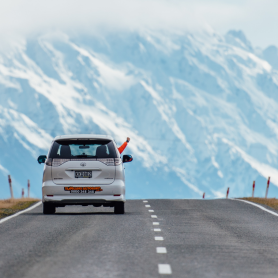 There are many ways to experience all New Zealand has to offer, but driving is arguably the most cost-effective, practical and fun. 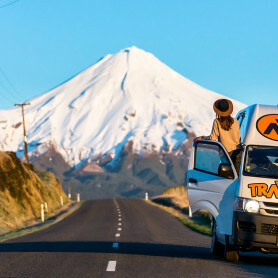 Here’s our list of do’s and don’ts of a road trip in New Zealand to follow for you to enjoy the most amazing journey of your life! This one comes down to budget, itinerary, and personal preference in the style you wish to travel. If you’re more of a luxury traveller, a car can be beneficial in giving you the freedom to stay at a variety of hotels for the night. As for backpackers – this can often be a downside. During the busy season in NZ (December – March), hostels and other budget accommodations are often in short supply, unless booked days prior. 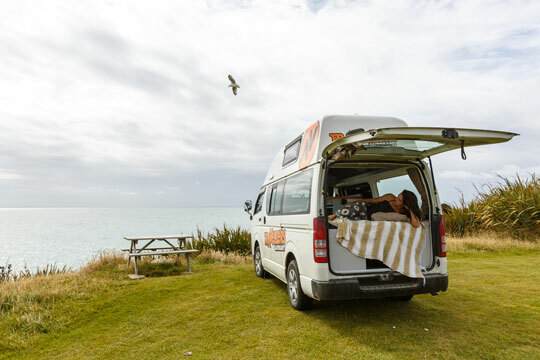 This is a big plus side of choosing a campervan, as there is plenty of holiday parks to stay at, or you can often “freedom camp” and avoid paying for accommodation all together. Plus, there’s no better adventure than stopping off at a secluded and picturesque location for the night! When booking your journey, think about how many places you want to visit and limit them if you’re on a strict time frame. While New Zealand is only small, the roads are often windy, narrow, and ice-covered. This means slow down, take your time and enjoy the scenery, whether you are travelling for a few days or a few months. 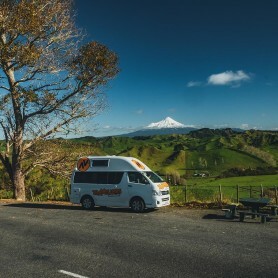 There is so much to see and do in New Zealand, and landscapes change drastically even when you’re just driving for a few hours. A road trip is also a perfect excuse to get off the beaten path and travel places that wouldn’t be accessible without a vehicle of your own. You will find beautiful landscapes in any direction you head, so don’t shy away from taking the road less travelled! Although there are many places in New Zealand you can freedom camp (i.e. pull up your vehicle and sleep roadside), it isn’t legal everywhere, and that’s taken seriously. 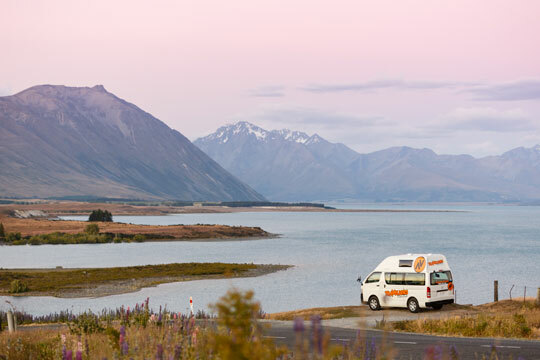 Due to the large number of campervan travellers in New Zealand, there are laws in place to prevent freedom camping, and in turn prevent litter, waste and just general unwanted guests in certain areas. Unless your vehicle is self-contained, or you have a portable toilet on board, its best to be careful where you stop for the night. 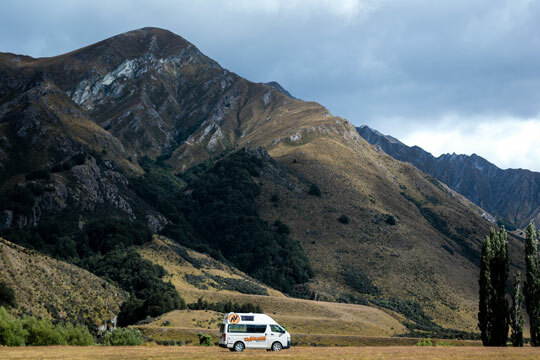 Check out our guide on Freedom camping in New Zealand here. 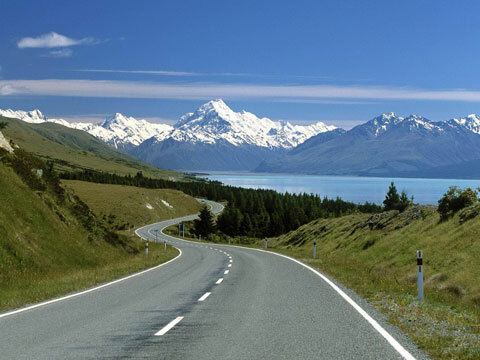 To many visitors, arriving New Zealand to find out the roads are left side drive is a big shock. This might prove to be a little confusing at first, but most people adjust to it quite easily, and it becomes second nature after not too long. Another thing to be aware of before you start your road trip is different road rules and customs. 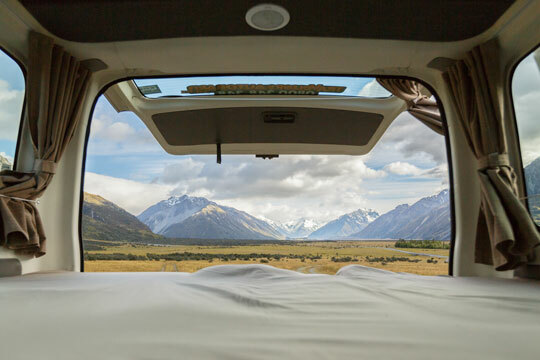 While driving a campervan on windy, foreign roads, you’ll be forgiven for driving a little slow. However, if you notice faster traffic starting to line up behind you, pull over and let them pass safely.